Rogers mid-tier flanker brand Fido plans on selling LG’s G7 One Android One smartphone for $799 outright on October 19th, 2018. According to documents obtained by MobileSyrup, Fido also plans on selling the LG G7 One for an upfront cost of $519 on a two-year Small plan, $449 on a two-year Medium plan and $299 on a two-year Large plan. Subscribers looking to purchase the phone outright, or with a no term/prepaid plan, will also be charged $799. Fido documents suggest that LG will sell the G7 One for $775. Interestingly enough, documents don’t seem to suggest that the device will be available with a newly created Extra Extra Large plan. The LG G7 One is a trimmed down version of the G7 ThinQ released earlier this year. Unlike the G7 ThinQ, the G7 One features a Snapdragon 835 processor, only 4GB of RAM and 32GB of internal storage, as well as a single rear-facing camera rather than a dual-camera setup. Also unlike the LG G7 ThinQ, the G7 One runs a stock version of Android absent any LG skins or bloatware. 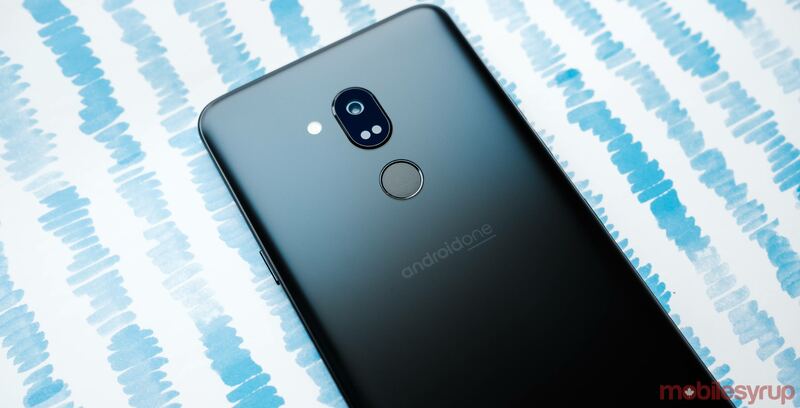 The G7 One is part of Google’s ‘Android One’ brand typically reserved for devices that run an unmodified version of Android. Android One phones are created to meet specific hardware and software standards established by Google, and are slated to receive two years of Android version updates and three years of monthly security updates. The G7 One will also be available at Rogers, Telus, Koodo Mobile, Bell, Virgin Mobile, Wireless Wave, Tbooth wireless, the Mobile Shop, WOW! mobile boutique, Videotron, Eastlink and SaskTel, though pricing has yet to be revealed.